This design was inspired by a request from Arturo. 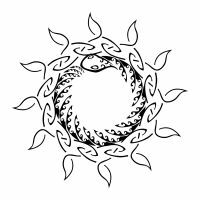 Both the sun and the ouroboros, the snake biting his tail, have a strong relation with the idea of cycles; like the snake closing in a circle, symbol of perfection and eternal return, similarly the sun sets and rises again day after day in a neverending loop. 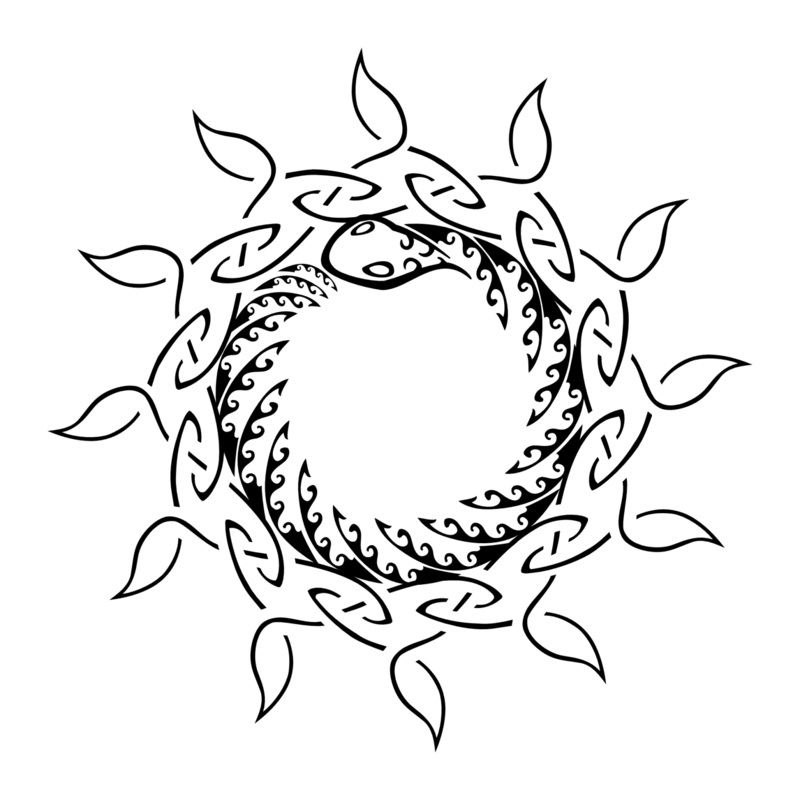 Both the celtic sun and ouroboros designs can also be downloaded separately.